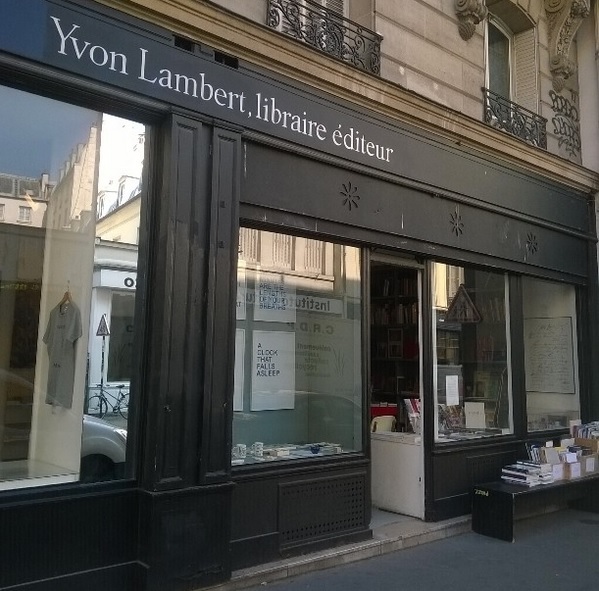 The recent opening of a standalone book store by esteemed gallerist Marian Goodman is confirmation, if any were needed, that in Paris the art world and the book world frequently overlap. In 2016, French publishers released no less than 5,652 books about art. Artists here are often bookish; books invariably beautiful. 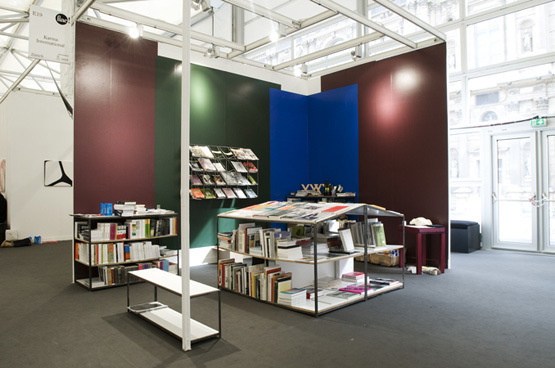 Unsurprisingly, Librairie Marian Goodman focuses on books, prints, and other editioned works by the gallery’s artists. On my last visit several handsome photography books by Thomas Struth caught my eye, as well as William Kentridge’s multi-layered Triumphs and Laments, which documents the creative process behind the 500 metre-long frieze the artist produced in Rome in 2016. Beyond the books is a small exhibition space, currently hosting photographic works by James Welling as an extension of his solo show in the main gallery. ‘We hope that it will also be for our artists a new dimension to explore, and a new outlet of creativity,’ says Nahab. The glass-fronted space is also likely to attract a different clientele from the main gallery, which is hidden away behind a pair of imposing wooden doors. But it is not just the long-established dealers who are making their mark in arts publishing. One of Paris’s most interesting recent initiatives is the tiny but brilliant Section 7 Books, run by critic and curator Benjamin Thorel with a collective of other artists and writers. Section 7 Books began life as a temporary project within Belleville project space castillo/corrales. When the gallery closed in 2015, Thorel decided to keep Section 7 Books going in order to explore ways in which publishing might offer economic alternatives to the traditional gallery model. Books are generally cheaper to produce and buy than art. They don’t require large studio spaces or much specialist equipment. There are fewer gatekeepers. Books arguably have a wider appeal too. In France, as elsewhere, contemporary art is often seen as more elitist than literature. ‘The field of publishing feels like a place where new things can happen more easily,’ says Thorel. Maybe this also explains the emergence of innovative new bookstores like Volume alongside independent publishers such as Editions Bessard, Poursuite, and Éditions Dilecta. From Section 7 Books’ current location, hidden away down a narrow covered passageway, Thorel is ‘trying to find a way to make the project self-sustaining without relying on public funding’. In part this means building a community – both locally and internationally. It also means providing something new: Thorel tries ‘to bring books to Paris that you can’t find anywhere else’, such as works in English or other foreign languages, which he explains can be ‘tricky’ to find in the city. As well as ‘zines and artists’ books there is a strong focus on independent publishers, and the shop stocks a wealth of wonderful titles, many of which I’ve never seen elsewhere. In addition to Section 7 Books, Thorel is also involved in publishing collective, Paraguay Press, whose ongoing series, ‘The Social Life of the Book’, is on display in the shop. The project brings together artists, publishers, writers, designers, booksellers and others in order to examine the way such communities enable (and are produced by) the dissemination of new ideas. It is almost a commentary on Section 7 Books itself. Further north is Le Bal, an independent non-profit space that combines gallery, café and bookshop. 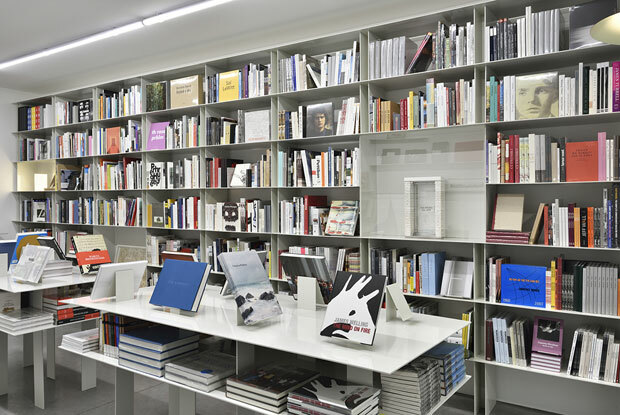 The bookshop specialises in contemporary, self-published, out-of-print art and photography books and also publishes its own essay collections under the title of Les Carnets du Bal. The gallery programming often has a literary or publishing strand too: December saw a weekend dedicated to independent publishers and bookstores. Le Bal’s current exhibition ‘Again and Again’ (until 9 April) is a solo show by Stéphane Duroy which enacts a literal and conceptual pulling apart of the book. On the ground floor, two of Duroy’s photography books – Distress and L’Europe du Silence – are presented opposite each other, both as wall-mounted photography and as books. 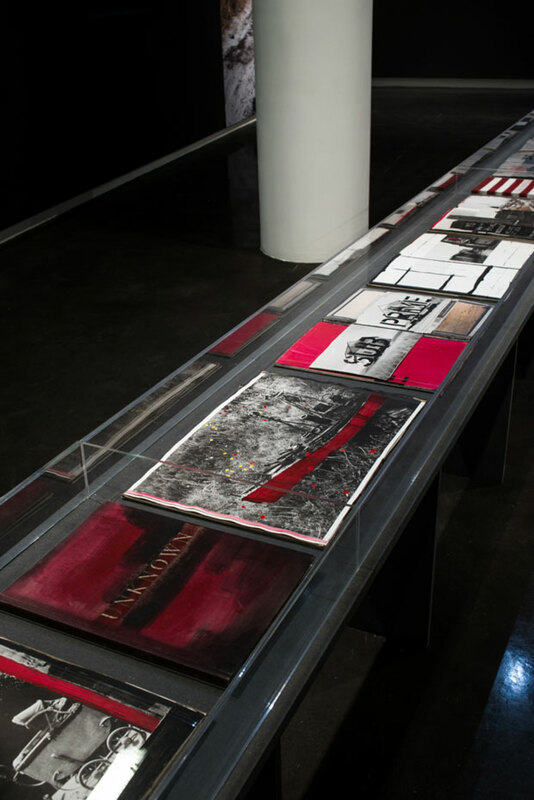 Downstairs, Duroy rejects the limitations of book-based photography, working over copies of his own 2007 publication Unknown and transforming it into collage, sculpture, and installation with a mania precipitated by and commenting on current political events. All this activity has helped spawn a number of new initiatives. In 2010, Yannick Bouillis founded annual book fair Offprint in Paris. There are now instalments in London and Milan as well as a permanent space in Arles in the south of France. 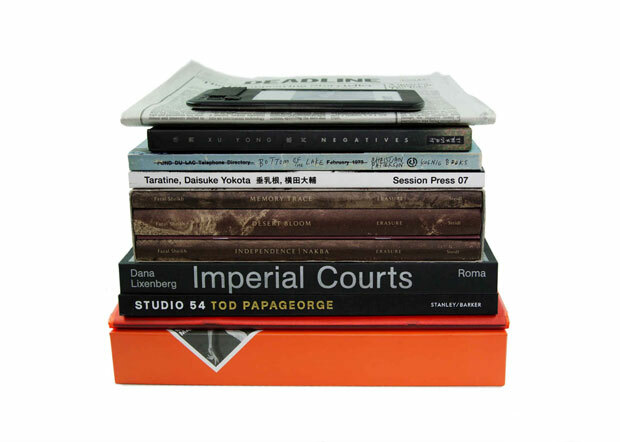 In 2012, Paris Photo and photography foundation Aperture launched the PhotoBook Awards. 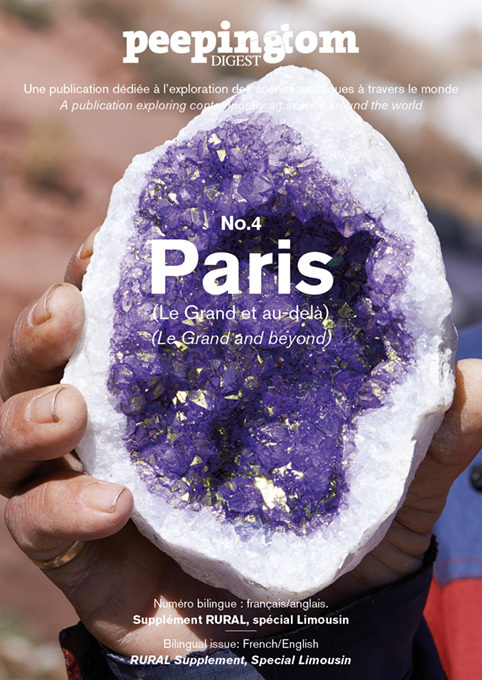 Then in 2014, photographer Laurent Chardon and writer-curator (and Le Bal alumnus) Sebastian Hau launched Polycopies, a ‘market place’ for photography publications, which last year took place on a boat on the Seine and showcased some 30 independent publishers, including London’s Trolley Books and brilliant Dutch book design studio The Eriskay Connection. I wanted to plan a trip to Paris, you ‘ve convinced me, I do it right now!